View More In Door Hangers. 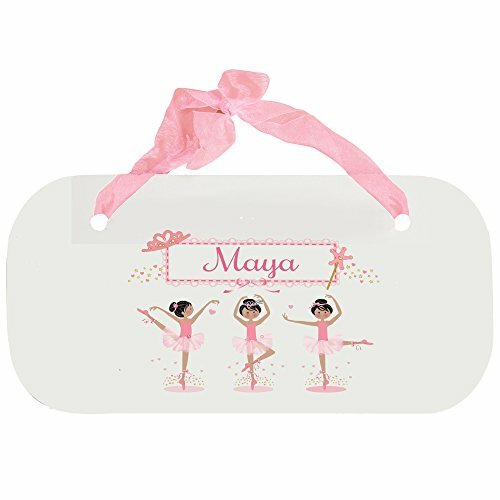 Our MyBambino personalized ballerina black hair wooden door hanger with blue ribbon makes them proud to be entering there room or space. What fun way to jazz your little one's entry way. Made of wood composite. Measures 11.5" x 5.5" x 0.25"
Measures 11.5" x 5.5" x 0.25"